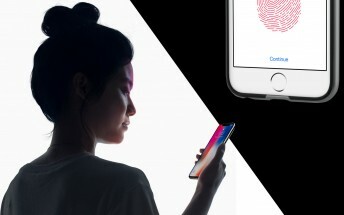 People are not convinced by this whole “face scanning” thing – fingerprint readers are here, they work, why over-complicate things with new tech? 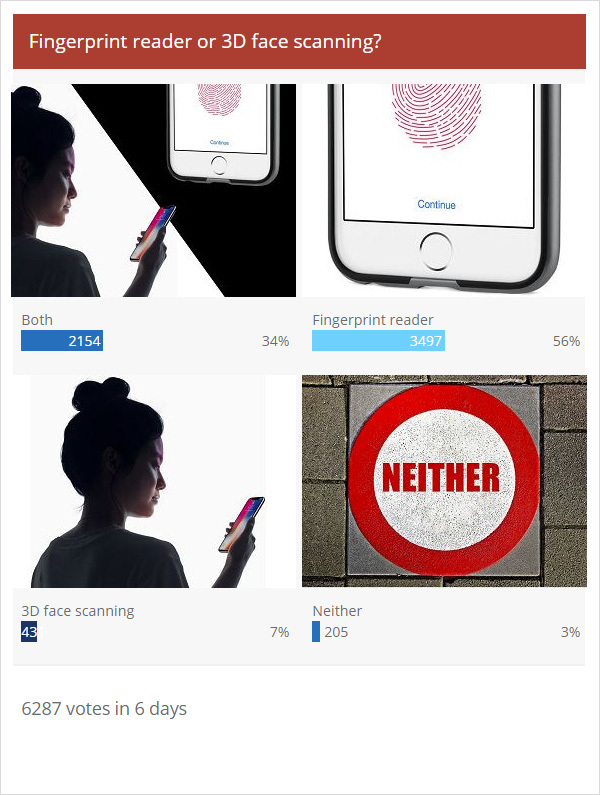 The “fingerprint reader” option in last week’s poll received over half of the votes. It’s telling that the “both” option is a distant second (34% vs 56%) and “3D face scanning” by itself barely got any votes at all. Interestingly, more than a few comments mentioned iris scanners, a tech that seems to be on its way out (you can’t do animoji with an iris scanner). Anyway, it seems that most people prefer the fingerprint reader for its convenience. Face scanners need a good view of your mug, which is annoying if you want to unlock your phone as it lays on the table. Readers are faster too. The news that face scanners can be fooled by siblings/parents has resonated with readers too. Apple (and vivo and Xiaomi) need to nip this in the bud as those instances seemed to be cases of poorly trained Face ID. The camera-only face unlock options certainly didn’t help build people’s trust in face scanning either (even though it’s completely different tech).